Nisha Koshy specializes in many aspects of commercial and residential real estate. Attorney Koshy joined Fletcher Tilton as an associate in the firm’s Litigation Department in 2002. She then rose to Officer, practicing in the firm’s Litigation Department for over ten years representing clients in complex contract and commercial disputes. In 2012, Attorney Koshy took time off to raise her children and become active in their schools. 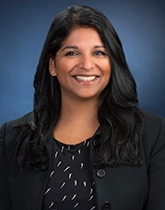 Attorney Koshy returned to Fletcher Tilton in the firm’s Real Estate and Commercial Lending Department, and uses her vast experience and insight as a litigator to assist clients with their complex real estate leasing, transfer, development and financing projects. of Massachusetts, the First Circuit Court of Appeals, and the United States Supreme Court. Nisha is resident in the firm’s Framingham office. What Do You Mean "The Contract is Binding"?